Prime Minister Youth Training Scheme PMYTS Phase II has been started. 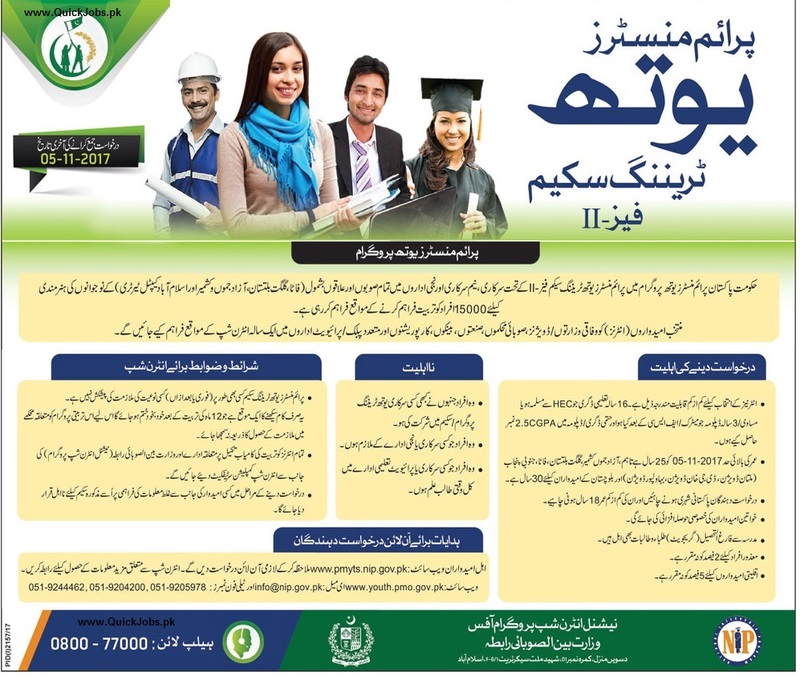 Eligible Male and Female Candidates from Punjab, Sindh, KPK, FATA, Baluchistan, Gilgit Baltistan and AJK will be placed in Government, Semi-Government and Private Organizations after final selection. Punjab, Sindh, Baluchistan,KPK, Gilgit Baltistan, FATA and AJK. 16 year education (BA, BBA, BS, BE, MBA, M.COM, MA, M.SC, MCS) or DAE ( 3 year diploma of Associate Engineer in any technology). Those individual who have already availed any Youth Training Scheme/Program. Employed in any Government or Private Sector Organization. A full time student of any Government or Private Institution.